The UK is responsible for as much as 27 per cent of the world’s breeding curlews, but they are being lost at an alarming rate. The population has fallen by 43 per cent since the mid-1990s, and their global status is listed as ‘near threatened’ by the IUCN. A new report assessing the status of all the UK’s 244 birds – Birds of Conservation Concern 4 – has also placed the curlew on its Red List under ‘highest conservation concern’. Birds of Conservation Concern is a report compiled by a coalition of leading conservation and monitoring organisations, reviewing the status of all birds in the UK. Each species is assessed and placed on the Green, Amber or Red List – indicating an increasing level of conservation concern. The Eurasian curlew Numenius arquata, to give its full name, is a large wader, with long legs and a long downcurved bill. There are around 68,000 breeding pairs in the UK – with a notable proportion in the Scottish uplands. The RSPB and the UK’s four national conservation agencies set out the case for focusing conservation efforts on curlews in a paper recently published in British Birds (1). Dan Brown, Conservation Adviser with RSPB Scotland and lead author of the study, said: “To see curlew populations falling so drastically is a major concern. We are responsible for more than a quarter of the world’s population in the UK, so the large declines currently occurring may be having a big impact on the global population. On this basis, the curlew emerges as our highest priority species from a global perspective – conservation success in the UK will go a long way to helping secure the global population. We also approach this work acutely aware that, sadly, two close relatives of the Eurasian curlew – the Eskimo curlew and the Slender-billed curlew – are highly likely to have become extinct in recent decades. This programme of work includes a five-year research project at six sites across the UK, where land management techniques aimed at improving breeding habitats and increasing breeding success will be investigated (2). Puffins, kittiwakes and shags were some of the other species added to the Birds of Conservation Concern Red List in 2015, joining birds like the curlew, dotterel and starling. However, the assessment does contain some good news and demonstrates that targeted conservation action can make a real difference. Three species (bittern, nightjar and dunlin) have been removed from the Red list and added to the Amber. While an additional 22 species, including the red kite, have moved from the Amber to the Green list; meaning they are of the lowest conservation concern. 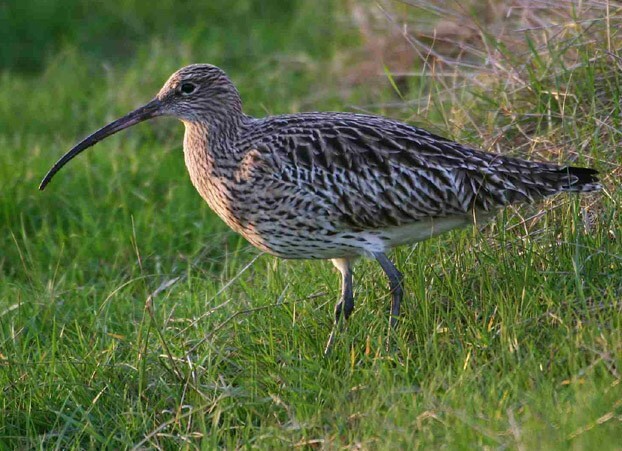 1 comment to Curlew should be UK’s top conservation concern says RSPB Scotland. Curlew used to be a common farmland bird but like the Corncrake it is now nearly extinct on farms due to change in practice. Remember 2015 was a record year with 5 cuts of silage from one field!! The remaining populations especially in Orkney are now being threatened by silage cutting. To call the bird an upland species is a bit much as acid waste land is not what the bird needs. Work done by the RSPB in the 1980’s showed how waders increased production by creating green pasture around moorland.